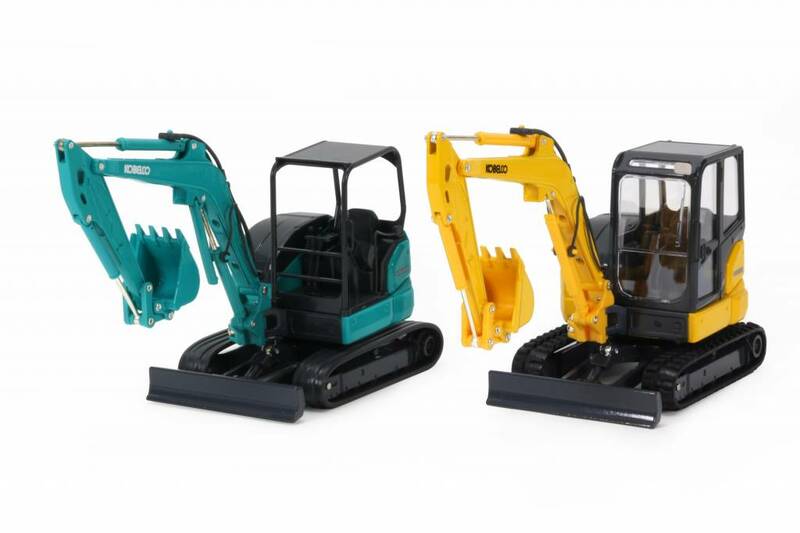 Kobelco has a limited number of yellow USA spec models available to buy in the Fanshop. SK55SRX - 1:43, available during Galabau exhibition in Germany and live on Fanshop from Monday 17th September. You can order online in the shop. We ship world wide. These are scale models with a collectors scale of 1:50. They are not electronic at all. USA do not have a fanshop open to the public. Europe is the main Fanshop for Kobelco and we ship world wide. Interested in SK140SRLC in American colors. What is the best way to go about getting one if I live in the United States? Do you guys have an American fan shop? Thanks!! !